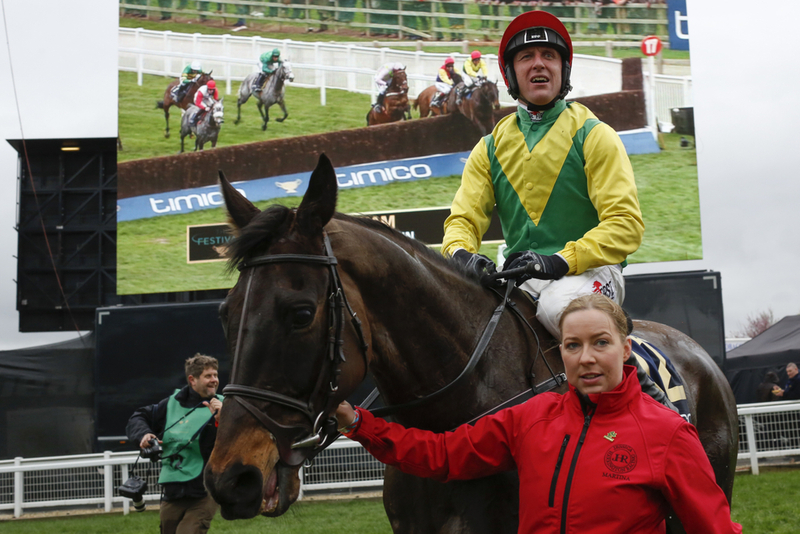 Grand National and Gold Cup winning jockey Robbie Power could miss the Aintree three day festival after picking up a back injury during the Cheltenham Festival last week. However, something the rider will certainly miss is the chance to ride Sandymount Duke on Saturday at Thurles in what was set to be his preparation run over hurdles before the Grand National. The jockey has fond memories of Aintree, when back in 2007 he landed one of the greatest prizes in the sport of jumps racing by winning the Grand National on board the Gordon Elliott trained Silver Birch. He does think that he will be back for the bid race but admits that everything needs to go well for that to happen. (Credit At The Races) The jockey said: “I picked up a little injury at Cheltenham so I’ll be out for a couple of weeks, but hope to be back for Aintree. Sandymount Duke, trained by Jessica Harrington, is set to run in for the Enjoy Elite Gypsy @Finns Borrisoleigh Hurdle over two miles, seven furlongs on Saturday and hopefully if coming out of that well, will be heading to Liverpool. This horse is fairly famous, not so much for what he has done in his career to date but for his owner being the Rolling Stones Guitarist Ronnie Wood. This will be the 10 year old finished a weak 14th out of 19 runners last time out over hurdles and fell the time before that at Down Royal in the Grade 1 JNWine Champion Chase that was eventually won by Road To Respect. “He’s got an entry at Thurles on Saturday. We might give him another prep run over hurdles,” said Kate Harrington, assistant to her mother.